NO. 489 MORELAND SCHOOL - Established in 1851 as a subscription school meeting in private homes, this is the oldest rural school district in California. Its first teacher, Charles LaFollette, 1851, taught for three months, the second teacher, Abraham H. Featherman, stayed six months. Through efforts of Samuel Curtis Rogers, its third teacher, who taught from 1852 to 1854, the first public school building, formerly the home of Zechariah Moreland, was obtained in 1852. 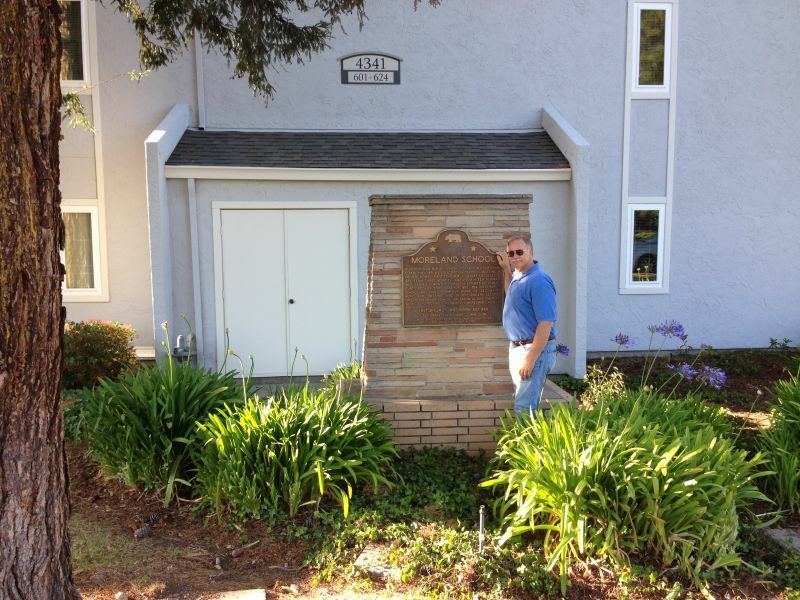 In 1853 Rogers secured organization of the school as Santa Clara Township School District No. 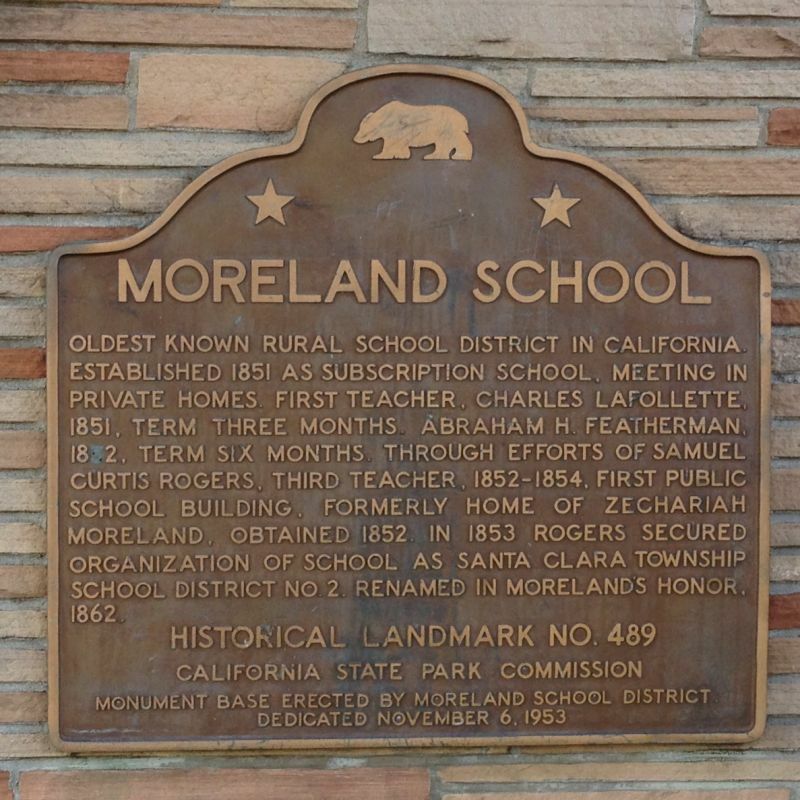 2, the school was renamed in Moreland's honor in 1862.